Lately Gregory and I have been honing recipes for a few different “house” IPAs. 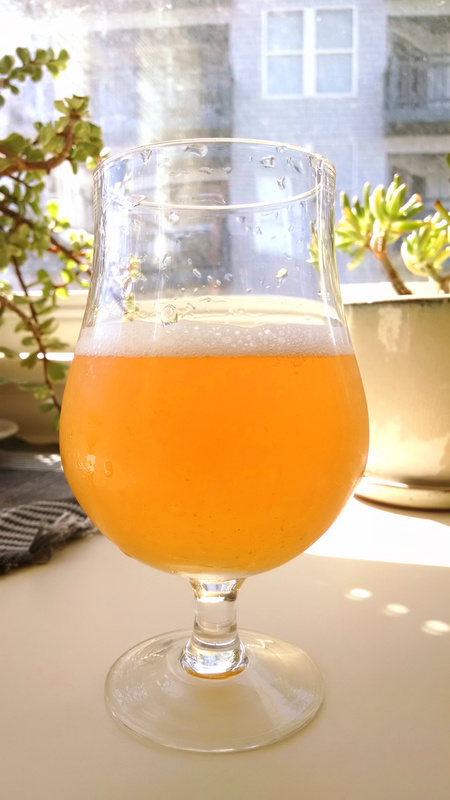 I recently wrote a New Zealand/Australian hop-heavy session IPA recipe for the spruce tips Gregory and I foraged this past spring. 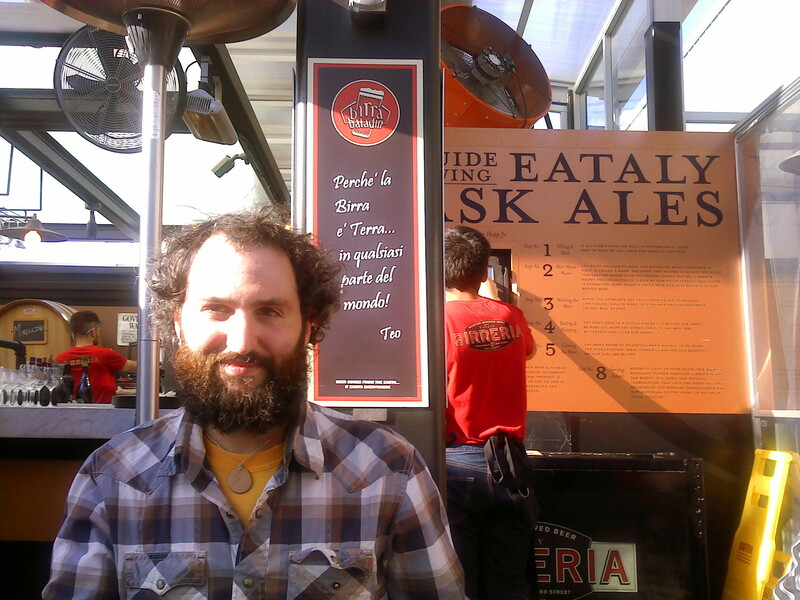 We liked the resulting beer so Gregory tweaked the recipe and brewed a version of it for the wedding of a friend. I tried that version and liked it as well, but I decided to go back to the grain bill of the original recipe for inspiration, and make a third, PNW hop-forward beer. I wanted to create a beer of “normal” strength that showcases the intense tropical, floral, and citrus notes of the new classic American hop varietals while remaining smooth, crisp and quaffable. I stuck to a grain bill of pale malts with a touch of flaked oats for a silky mouthfeel and appreciable body, and rye to provide head retention and subtle grainy-spicy complexity. I’ve also been looking forward to experimenting with blending different clean yeasts to create a more complex and flavorful ester profile, so I used two different saccharomyces strains in this brew. I wanted to use Imperial’s A24 Dry Hop yeast, but the homebrew store was out so I opted for their A20 Citrus strain. I pitched this first and then pitched a starter of yeast slurry 33 hours into primary from the wedding IPA — which utilized Imperial’s English A09 Pub yeast strain. The resulting beer turned out great and the methods used to create it highlight our continual striving to craft better and better beer. Unfortunately, I bumped the keg shortly before the photo was taken, so some hop particles were stirred up (I would have waited and taken another photo, but the beer was already almost gone)! 0.50 oz. Amarillo (Pellet, 7.0% AA) @ 60 min. 0.50 oz. Citra (Pellet, 14.1% AA) @ 15 min. 0.25 oz. HBC 438 (Pellet, 16.6% AA) @ 15 min. 0.75 oz. Amarillo (Pellet, 7.0% AA) @ 05 min. 0.75 oz. Citra (Pellet, 14.1% AA) @ 05 min. 1.50 oz. Citra (Pellet, 14.1% AA) @ 0 min. 1.50 oz. Amarillo (Pellet, 7.0% AA) @ 0 min. 1.00 oz. Centennial (Pellet, 7.6% AA) @ 0 min. 1.00 oz. HBC 438 (Pellet, 16.6% AA) @ 0 min. 1.00 Whirlfloc @ 15 min. Hazy yellow-orange with a moderate white head stand which laces nicely. Aromas of pineapple with a spicy-herbal/tropical note reminiscent of mango salsa, hints of lime and dill. Herbal and fruity flavors dominate the palate with notes of grapefruit and orange as well as pineapple, cedar and pine. Body is lush and juicy, but crisp and finishes with a dry and resinous spicy-floral bitterness.